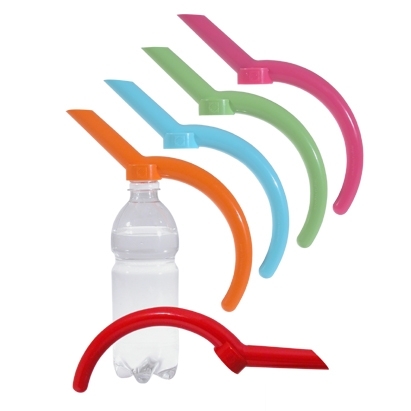 Versodiverso, Portable Plastic Spout | OhGizmo! By David Ponce on 01/17/06 • Leave a comment! Well, it doesn’t allow you to do a whole lot that you couldn’t simply do without, but it looks kind of nice, and that’s worth something. It’s made by the good folk at Viceversa, recently famous for their lovely voodoo knife block. This plastic apparatus screws on to most standard bottles and turns them into, well, jugs or something. It’s a portable spout, I imagine. Price is out, dancing the funky chicken someplace.